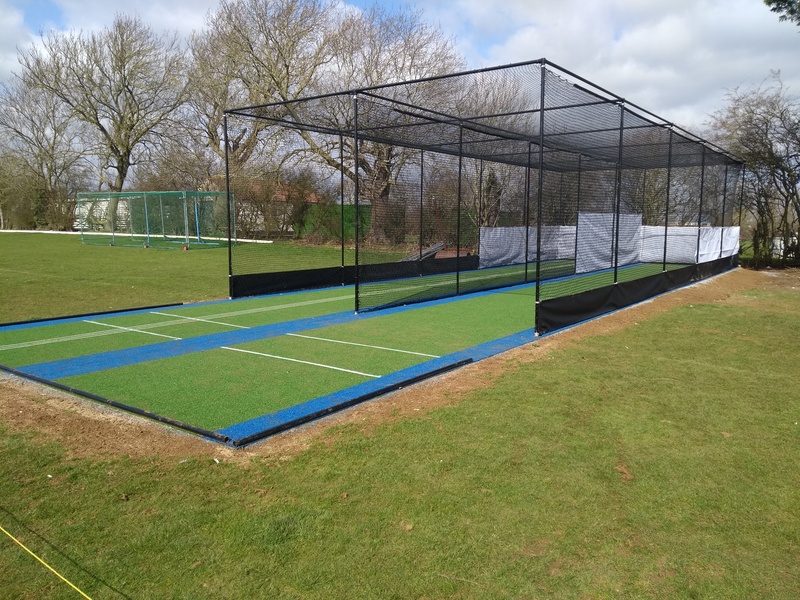 With its existing non-turf cricket practice nets no longer deemed fit for use, Isham CC secured funds for a replacement facility from a number of sources – including the SUEZ Communities Trust as the major funder – and was tasked with acquiring quotations for the project. 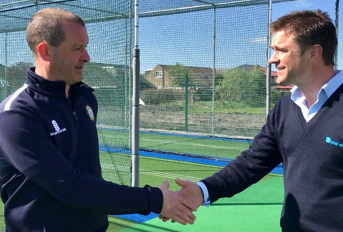 The aim was to create a non-turf practice nets facility that would meet ECB regulations and help the busy club nurture its full range of teams – it fields 3 Saturday senior sides; 1 Sunday senior side; 1 Mid-week senior side; and 5 Youth teams at U9, U11, U13, U15 & U17 – with special emphasis on the Youth section. 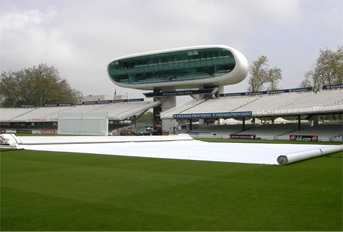 To meet the brief, the club shortlisted three ECB compliant suppliers and invited them to submit project proposals and outline costs for the new facility. total-play was among these and its solution successfully addressed a number of issues on a site somewhat challenged by limited space due to an adjacent football pitch. 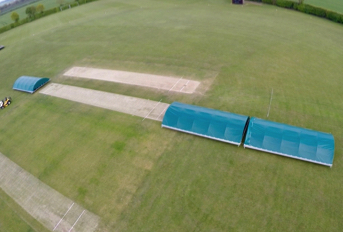 This included, in particular, the orientation of the planned nets to comply with the ECB’s Performance Quality Standards (PQS) of allowing a maximum angle of 55° from a true North/South. After a lengthy consultation process between the club, total-play, the football club and other parties a sufficient lease was granted and construction work commenced on site in April 2018. The club was responsible for clearing the site of the original system before total-play’s in-house construction team began work on the new 2 lane system. Everything from initial groundworks through to laying the carpets, installing the framework and fitting the nets was undertaken by total-play without the involvement of sub-contractors. 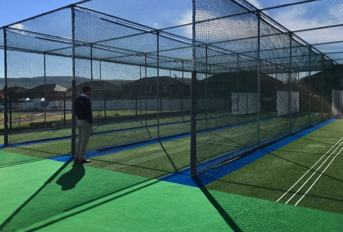 The club is now home to a state of the art non-turf practice nets built to total-play’s ECB approved tp365 system design. 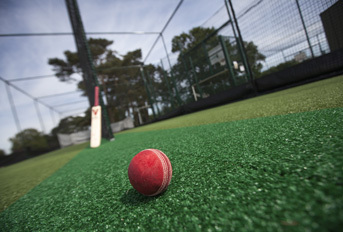 Features include total-play’s HD Protection Tunnel netting system that increases player and spectator safety by creating a ‘cocoon’ of netting around each lane; thus eliminating errant balls passing between lanes through sagging nets, with the club opting for black netting. 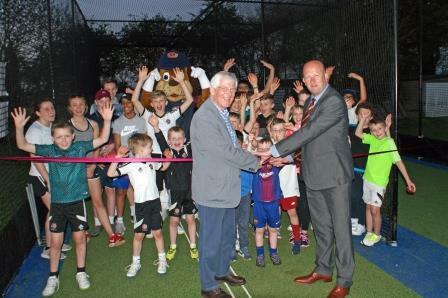 “The nets have only been in use for a couple of months but to date there has been nothing short of delight at the outcome. 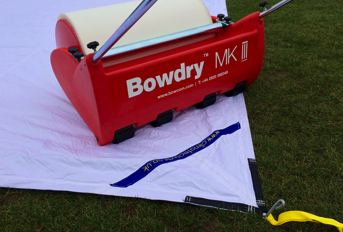 total-play was always our preferred contractor – not only are they local to us but their track record and the fact we’d had previous good experiences with the company were all in their favour. Getting quotes from other suppliers supported our decision and also showed that total-play offered good value for a quality solution.